Microsoft is taking all means into consideration while working to boost up the sales of its latest Xbox One video game console, and doing so, the American platform holder has granted another Xbox One price cut to those who are still looking to single out one of the two eighth generation video game consoles in the UK, bringing down the retail cost to £329.99 . This is third price cut for the new hardware in last 10 months after the its launch. Microsoft started Xbox One’s sales with a higher price tag compared to the PlayStation 4 console but now the former is cheaper that the latter for the first time in the UK. Microsoft has been trying hard to make its latest Xbox One console look more attractive, and bring it on par with Sony’s latest gaming hardware ever since it was launched back in November 2013, but the company has climbed little towards success, so it looks like it is taking more drastic action, and that too, very quietly. The American platform holder has lowered the standard Xbox One price tag by £20 to £329.99, making it cheaper than Sony’s latest PlayStation 4 video game console, which costs £349.99 in the UK right now. 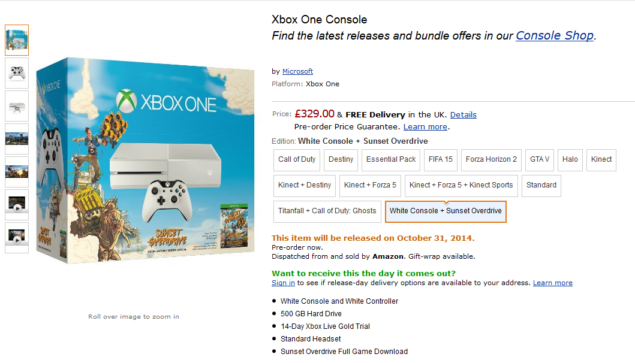 Players can now purchase the Xbox One console at a reduced price from both Microsoft Store and third-party retailers such as Amazon UK This is the third price cut by the platform holder as the Xbox One originally launched with a price tag of £429.99 in the UK, but that price was soon reduced to £399.99 with the launch of exclusive multiplayer first-person shooter known as Titanfall. The Xbox One price point was once again brought down when the manufacturer rolled out the £349.99 Kinect-less bundle at the beginning of summer 2014. Third Xbox One price cut isn’t much of a surprise, as something like this could be expected from Microsoft after reports that claim that Sony’s PlayStation 4 is actively outselling the Xbox One in the UK. 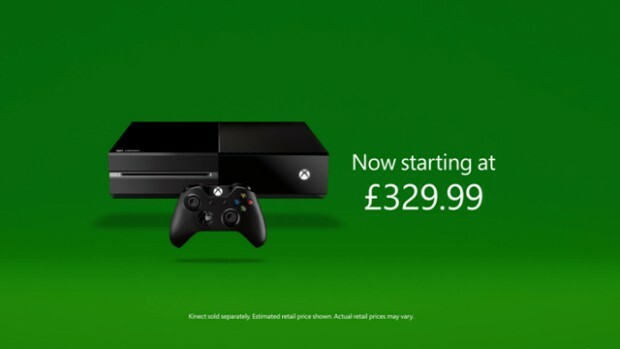 There is no word on whether Microsoft will expand this price cut to other territories or not, but the manufacturer surely wants to pump up the Xbox One sales in the UK, having been the lead seller in the region with the Xbox 360 console.